My Creative Existence: My classes this weekend! Just a quick update today to let you know about the classes I will be doing this weekend at Erina Scrapbook Store! * Saturday 15th January 2010 - 1:30pm-3:30pm - Perpetual Desk Calendar. 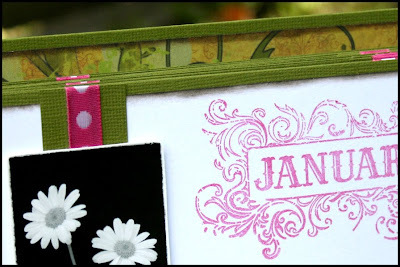 In this class you'll create a desk calendar to keep track of your upcoming birthdays and events, with space to store cards for the occasions. 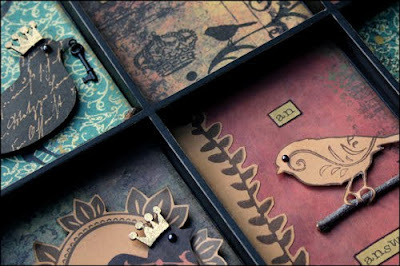 We'll be using 7gypsies stamps and Darkroom Door Montage images. Cost = $30 per person which includes materials. Saturday 16th January 2010 - 10am-1pm - Artist Printers Tray. We'll be creating a gorgeous piece of wall art using the 7gypsies Artist Printers Tray as well as 7gypsies papers and stamps. Cost = $55.00 per person including materials. You can see more details about these classes in the printable flyer. If you are interested in attending a class, please call to reserve your place. Erina Scrapbook Store - 2/203 The Entrance Road, Erina NSW 2250 Australia. these are all such lovely pieces! thank you for the kind comments on my blog! :) your art is beautiful! The samples look beautiful, & that wall art in particular is very inspiring. Absolutely LOVE the new header, she`s too cute!!! Your things are just beautiful! I'm in awe! Class - Introduction to ATC's.